With the top court set to decide on its constitutional validity on Wednesday, here’s a quick primer on the government’s controversial unique identity project. With the Supreme Court’s judgment on the constitutional validity of Aadhaar to be announced on Wednesday, here is a quick primer on what the case is about, what the judgment will mean for us and some of Scroll’s reporting on this subject. Beginning in 2009, the Indian government began enrolling residents onto a platform known as Aadhaar, which provided each enrollee with a 12-digit unique identification number linked to both their demographic and biometric details, including fingerprints and iris scans. The project was initially sold as a voluntary way of improving welfare service delivery and giving those without identification an ID they could use. In practice, however, the government expanded it by making it mandatory for a number of services, forcing residents to sign up for Aadhaar to get access to things they were already due. Today, Aadhaar essentially functions as a catch-all identity proof, that the government would not just like to make mandatory for every Indian resident, but also has to be linked to a number of other services such as PAN card, phone number and bank account. In January this year, a five-judge bench, headed by Chief Justice of India Dipak Misra and including Justice AK Sikri, Justice AM Khanwilkar, Justice DY Chandrachud and Justice Ashok Bhushan heard arguments in the matter. The hearing lasted 38 days, the second-longest in Supreme Court history, and the order was reserved on May 11. One is intentional: The Aadhaar Act was supposed to only allow authentication of a person, meaning a verification query would only tell an agency whether the person is who she says she is. Instead, the Act allows agencies to draw other demographic information, which has naturally led to concerns about profiling and surveillance, especially now that the government has made it mandatory to link Aadhaar to everything from bank accounts to phone numbers to PAN cards. This means private companies are also using Aadhaar to deliver their services, but in the process collecting information on people and monetising that data. The second is incidental: The design of the Aadhaar system meant that, though it claimed to be secure, it was leaking data all along. In 2017, the government admitted in Parliament that as many as 210 official websites were found displaying Aadhaar numbers along with demographic data. 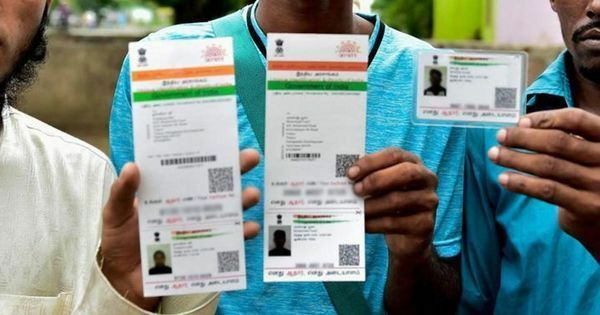 A Tribune investigation earlier this year found that one could buy access to the entire database for just Rs 500, and print out anyone’s Aadhaar card for Rs 300 more. This information has in the past been used for financial fraud. In response, Aadhaar’s overseeing body, the Unique Identification Authority of India, filed a case against the journalist. And over the last year it has attempted to roll out new features that it claims will improve security, even though it has insisted all along that its data is already secure. Despite the comparisons, India’s Aadhaar project is nothing like America’s Social Security Number. A version of this piece was originally published in January, when the arguments in the case were about to begin.